What’s the single most important thing that ordinary people can do to reform their food system? 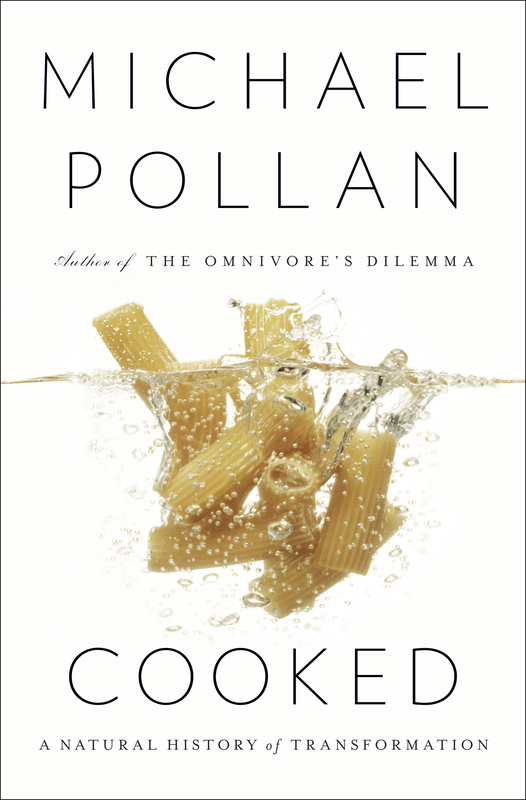 In his new book, Cooked: A Natural History of Transformation, food movement leader Michael Pollan argues that it’s cooking at home. He points to the fact that the amount of time Americans spend cooking has dropped by half since the sixties, while at the same time we’ve increased our consumption of unhealthy processed foods and seen “the rise in obesity and all the chronic diseases linked to diet.” His conclusion is that the best way to address our public health crisis is for everybody to start cooking again. More time in the kitchen might sound like drudgery to some, but Pollan argues that it shouldn’t. 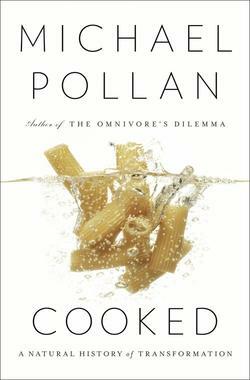 He cites the work of Harvard primatologist Richard Wrangham, who has hypothesized that cooking “set us apart from the apes and made us human.” Pollan argues that cooking is in our nature, so those of us who aren’t cooking are missing out. He also sees the rise in popularity of television cooking shows as evidence that “there are things about cooking we really miss.” From there, we’re to conclude that if we returned to the kitchen, we’d be happier and healthier. If cooking is such a no-brainer, why have we stopped doing it? According to Pollan, food industry marketers have had a lot to do with it. Pollan makes the case that corporations convinced Americans that “production is work best done by someone else, and the only legitimate form of leisure is consumption,” and co-opted feminist rhetoric, promising to liberate women from the drudgery of cooking. In doing so, they at once drew women out of the kitchen and absolved men of any responsibility to play a role in feeding their families. It’s an appealing narrative, but one that deserves closer scrutiny. For one, it’s not clear that we’ve really come to believe that leisure and production are mutually exclusive. Pollan himself notes that “interest in all kinds of DIY pursuits has intensified,” and with the recent proliferation of user-created content on sites like Wikipedia and YouTube, it seems more likely that many people simply aren’t interested in cooking. Pollan also argues for cooking as “a protest against specialization.” Though he admits that specialization is “a powerful social and economic force,” he also finds it “debilitating.” He explains, >One problem with the division of labor in our complex economy is how it obscures the lines of connection, and therefore of responsibility, between our everyday acts and their real-world consequences. >Specialization makes it easy to forget about the filth of the coal-fired power plant that is lighting this pristine computer screen, or the backbreaking labor it took to pick the strawberries for my cereal, or the misery of the hog that lived and died so I could enjoy my bacon. >Specialization neatly hides our implication in all that is done on our behalf by unknown other specialists half a world away. We’re left to guess whether Pollan wants us all to find ways to generate our own electricity to wean ourselves from that coal-fired power plant. I doubt Pollan really wants to do away with division of labor altogether, but if not, it’s worth asking whether a “protest against specialization” is really a sensible way to address the concerns he describes. Often when we talk about the filth of coal-fired power plants, we’ll talk about taxing pollution, implementing a cap-and-trade system for carbon emissions, or subsidizing cleaner forms of energy like solar or wind. That is, we treat the issues associated to coal power plants as societal problems to be addressed by centralized action. It simply is not realistic to expect individuals to acknowledge these problems and choose to opt out of the status quo. Perhaps some will do so, but it won’t be very many, and it won’t add up to much. Likewise, we might try to improve the lives of the farmworkers who pick strawberries by implementing policies to make their work less backbreaking. The conscientious consumerism that Pollan espouses will undoubtedly appeal to some grocery shoppers, but it will necessarily be a privileged few, so it seems unlikely that the “protest against specialization” will lead to real change for the farmworkers who need it. The “natural history of transformation” begins with a section about fire, which, in the context of cooking, means whole-hog barbecue. Whole-hog barbecue is a new experience for Pollan, who after biting into his first barbecue sandwich declares it “life-altering” and resolves to learn to make it himself. “Real” barbecue doesn’t come quickly, though. Pollan notes that barbecuing a pork shoulder takes “at least six hours, and ideally a couple more, to attain perfection.” That’s no obstacle to Pollan, though, who asks in the introduction, “is there any practice less selfish, any labor less alienated, any time less wasted, than preparing something delicious and nourishing for people you love?” Why waste your time volunteering at a soup kitchen or working for political reforms when you can spend the day making a tasty meal for your family? By the time Microwave Night arrives, Pollan has already condemned microwave ovens as “antisocial,” so it’s hardly surprising that the Microwave Night meal leaves Pollan wholly unsatisfied. He reports that the frozen meals resemble airline food: salty with a “generic fast-food flavor, a sort of boullion-y taste.” Even the act of using the microwave leaves Pollan deeply unfulfilled: >Is there any more futile, soul-irradiating experience than standing before the little window on a microwave oven watching the carousel slowly revolve your frozen block of dinner? >Time spent this way might be easier than cooking, but it is not enjoyable and surely not ennobling. >It is to feel spiritually unemployed, useless to self and humanity. The account of Microwave Night perfectly encapsulates the folly of Pollan’s approach to social change. Pollan struggles to see any good in microwaveable dinners and concludes that cooking is a better choice. However, it is probably more accurate to conclude that Pollan just doesn’t understand the lives of the people for whom microwaving dinner is a part of everyday life. What Michael Pollan calls “real scratch cooking” is, by all indications, a good choice for Michael Pollan. However, Pollan is the sort of person who justifies eating dinner like the neighbors on the basis of “journalistic inquiry.” His experience is anything but typical, and–critically–it’s marked by privilege. In the course of the book, we learn that he’s accustomed to fixing dinner by “throw[ing] expensive filets on the grill,” that he can enlist the help of a former Chez Panisse chef in learning to cook, that he can take six hours out of his day to barbecue a hog. Most people don’t have any of those luxuries, which ought to call into question the applicability of Pollan’s experiences to the broader population. Pollan’s defenders might point out that Pollan supplements his experiences with some statistics. He tells us, for instance, that we now spend less time cooking and more time watching TV and using the internet, the logical conclusion being that we ought to shift some of that time back to cooking. However, this line of reasoning misses the point. People eat in a way that makes sense in the context of their lives, and for most people that isn’t the same as what makes sense in Michael Pollan’s life. Some people come home from a hard day of work without the mental energy to put together a meal from scratch. Others have spent the day working in restaurant kitchens, and don’t want to spend any more time cooking. Others simply don’t find cooking “ennobling” and would prefer to spend the time doing something pleasurable. Even if these people could find the time to make dinner from scratch, they have reasons not to do so. All of this is lost on Pollan, who emphasizes the role of marketers in persuading people to accept a diminished role in preparing their food. The unspoken message is that if you aren’t cooking, you’ve been duped by the corporations. If you believe, as Pollan does, that microwaveable meals are barely palatable and don’t save time, that cooking is enjoyable, and that the very act of microwaving dinner leaves one “useless to self and humanity,” there is little room for the idea that anybody could make an informed decision to eat a frozen dinner. Yet this view is ignorant of the basic realities of people’s lives, and it is condescending, even elitist, for Pollan to generalize his own narrow, privileged experiences to those whose lives are so different from his own. This response fails to address the substance of the criticism. To say that Pollan is an elitist is not simply to say that he is wealthy or that eating well requires financial means that many people don’t have. It’s true that the food movement’s leadership is largely affluent, but this alone doesn’t make it an elitist movement, nor is it necessarily grounds for criticizing the movement. Social clumsiness aside, the most troubling aspect of Cooked is the sheer number of ideas that are passed along from questionable sources. In many cases, Pollan doesn’t stand behind the thoughts himself but instead presents them as somebody’s point of view. However, these dubious ideas tend to fall in line with the belief that everything that is industrial, corporate or processed is bad and anything natural, home-cooked or artisan is good. After educating readers about the nutritional goodness of whole grains, Pollan introduces Joe Vanderliet, who left a job at a big mill to start Certified Foods, a startup focused on whole grains. Vanderliet tells Pollan that because the nutritious germ of a grain is so perishable, “most big millers routinely leave out the germ when they reconstitute whole-grain flours.” This is not a trivial accusation; it amounts to accusing the “big millers” of falsely labeling their flours as “whole-grain.” If this were the case, those millers would be selling misbranded food2 on a massive scale, an offense punishable by prison time. This is not the sort of charge that should be floated without good evidence. Pollan offers no direct evidence, explaining that the charge is “a difficult one to prove.” What he gives us is the word of Vanderliet and his chief engineer, a former employee of General Mills. For balance, he quotes a letter from General Mills denying the allegation. It wouldn’t be easy to prove, but one could certainly do more research than Pollan does. Since the germ differs nutritionally from the rest of the grain, one way to assess the veracity of Vanderliet’s accusation would be to compare the nutrient content of flour from one of the “big millers” to that of a sample of flour that was known to be whole wheat. Cynthia Harriman of the Whole Grains Council, a nonprofit organization which advocates for whole grain consumption and certifies food products containing whole grains3, told me that if she wanted to know whether a particular wheat flour contained the whole grain, she would analyze the fat content of a sample of flour, pointing out that whole wheat flour is 2.5% lipids, while refined wheat flour is only 0.98% lipids. Like most of us, Pollan probably doesn’t have convenient access to a nutritional testing lab. However, there are numerous labs which will perform nutritional analysis of a food sample for a fee. It seems entirely reasonable to expect a journalist with a book deal to make use of that service before printing the accusations leveled by two millers at their competitors and former employers. That’s the sort of talk that is likely to leave all but the most skeptical readers thinking that the fermentos are probably largely right. I don’t mean to say that science will never come to see an important role for fermented foods in a healthy diet. Yet Pollan’s exposition is problematic because it neglects to place the fermentos’ claims in the context of what science understands today. That GAPS Diet (recommended to Pollan by an unnamed fermento) is, according to the medical doctor Harriet Hall, “a mishmash of half-truths, pseudoscience, imagination, and untested claims.” In other cases, Pollan ignores or understates known risks, skewing the decision calculus towards the purported benefits. For example, readers intrigued by Katz’s claim that consumption of fermented foods has been essential to his “continued vigor and good health” while living with HIV might benefit from knowing that kombucha, a fermented tea product, has no confirmed health benefits but has been linked to illness in at least one HIV patient. Pollan’s mention of the mother who claimed to have cured autism with raw milk and sauerkraut deserves special attention. Although Pollan later acknowledges that raw milk products “kill a handful of people every year, and sicken a great many more,” he’s quick to point out that pasteurized dairy products also make people sick. This is true, but it would be wrong to conclude that raw and pasteurized dairy products are equally dangerous. The Centers for Disease Control estimates that the raw dairy causes 150 times more outbreaks and outbreak-associated illnesses than pasteurized dairy products. There are many moms, like myself, whose children suffer from ADD, autism, asthma, eczema, digestive disorders or food allergies. We struggle to find answers to help our children. According to the CDC, approximately 43 percent of children have some sort of chronic medical issue and that number does not include children who have cancer. Most parents will turn to their medical doctor for answers and if that doesn’t work, some will hope to find a remedy through nutritional alternatives. In McGonigle-Martin’s case, the search for answers led her to buy raw milk for her son Chris, who suffered from Attention Deficit Disorder. Shortly thereafter, Chris developed a severe case of E. coli O157:H7 poisoning, and raw milk was identified as the source of the harmful bacteria. McGonigle-Martin now says that she was “ignorant” about the risks of raw milk and regrets the decision to give it to her son. Michael Pollan is somebody who has the trust of a great many people on issues related to food. While he does not vouch for the claim that raw milk can help to “cure” autism, he does come across as sympathetic, and he doesn’t put the claim in the relevant context. Drinking raw milk is dangerous, and there is no credible research suggesting that it can “cure” autism. It would be most unfortunate if Cooked were to mislead parents about the risks and benefits of raw milk. Even if we accept this argument (and Cooked offers little in the way of evidence to support those explanations for outbreaks linked to raw milk), it’s not clear what its implications for our diets today ought to be. Pollan offers no reason to believe that we can undo the purported harm that pasteurization has wrought on our immune systems. Whatever the cause, the evidence (though it is not acknowledged in the book) is quite clear that raw milk today is linked to vastly more illnesses per unit of consumption than pasteurized milk. On the subject of gut microbes more generally, Pollan tells us that “the twentieth-century war on bacteria–with its profligate use of antibiotics, and routine sterilization of food–has undermined our health by wrecking the ecology of our gut.” To say that we can improve our health by paying more attention to “good” bacteria would be reasonable, but the notion that the “war on bacteria” has been harmful overall ignores the many lives that have been saved by antibiotics and improved sanitation. He’ll also declare that “bacteria is good food” when some bacteria is demonstrably bad for us. Even when he cites peer-reviewed literature, Pollan is sometimes on shaky ground. One review which Pollan claims shows that probiotics (beneficial bacteria) “reduce allergic responses, including asthma” actually found “no evidence to justify the use of probiotics for treatment or prevention of asthma” and reported conflicting evidence for the use of probiotics for treatment of allergic rhinitis4. Pollan cites another study as evidence that probiotics reduce anxiety without mentioning that it was funded by a manufacturer of probiotic supplements or that it emphasized the need for further research. He also claims that another study shows that probiotics “improve the health and function of the gut epithelium” without mentioning that the research was conducted in mice, rather than humans. This is not to say that Pollan’s discussion of the gut microbiome and live-culture foods is entirely wrong. There is evidence for some health benefits of probiotics, and it’s possible that science will come to see a greater role for them in the future. What is problematic, however, is that Pollan is too willing to lead readers to conclusions which are not grounded in solid evidence. Had Pollan remained true to the book’s subtitle and written a “natural history of transformation,” Cooked almost certainly would have been a good read. Unfortunately, as written, the book is brimming with pretense and laden with sketchy science and revisionist history. This makes it challenging to separate the signal from the noise, so the work is valuable mainly for the window it provides to the foodie worldview. Of course, Cooked aspires to much bigger things; it aims to remake our lifestyles, our society, and even our digestive tracts. We ought not let that happen. There’s room for improvement, but Cooked isn’t a good recipe for change. I'm Adam Merberg. I'm a recent math Ph.D. and a reformed food reformer. This is where I record some of the thoughts I have in my spare time. I don't speak for anybody other than myself, and I'm not paid to write here. More information, including contact information, is available on my About page.